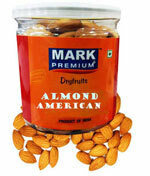 Paytm is selling Mark Premium Pack Of 2 Almond American 200 gm at just Rs. 425 after cashback while the actual price of this offer is Rs. 530 but due to 6% off + 15% cashback through below mention coupon code, you can buy this at just Rs. 425. To get this offer at Paytm, please check the below mention steps.